ROSANNE CASH: THE LIST: 2009: 5 STARS: When she was eighteen her father gave her a list of 100 essential country music songs to expand her knowledge of country music. She does twelve of those songs here. She has never revealed the other songs on that list JR Cash gave her because she may do more albums on that series. This is an outstanding album I wish she would do more in the series. I see she has an album coming out soon which is great- but it’s not a List album. 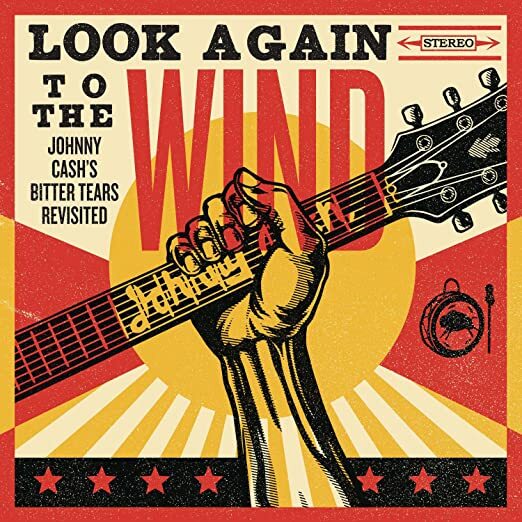 LOOK AGAIN TO THE WIND: JOHNNY CASH’S BITTER TEARS REVISITED: 2014: 4 STARS OUT OF 5 STARS: On the 50th anniversary of Johnny Cash’s Bitter Tears album- a concept album about the mistreatment and marginalization of the American Indian in American history- a number of different Americana artists got together and covered the album. It may not have matched Johnny Cash but it is very good. There was also a documentary made which is worth seeing.